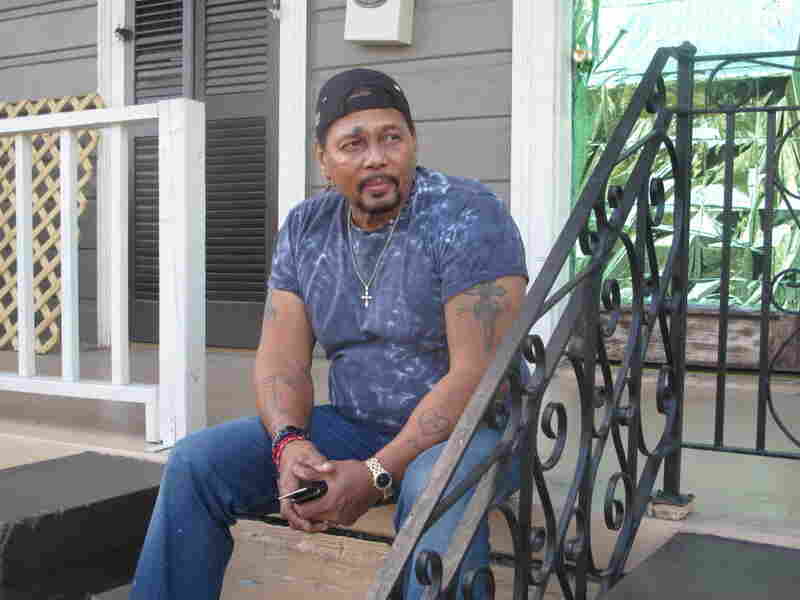 Aaron Neville revisits the house where he spent his teen years in uptown New Orleans. 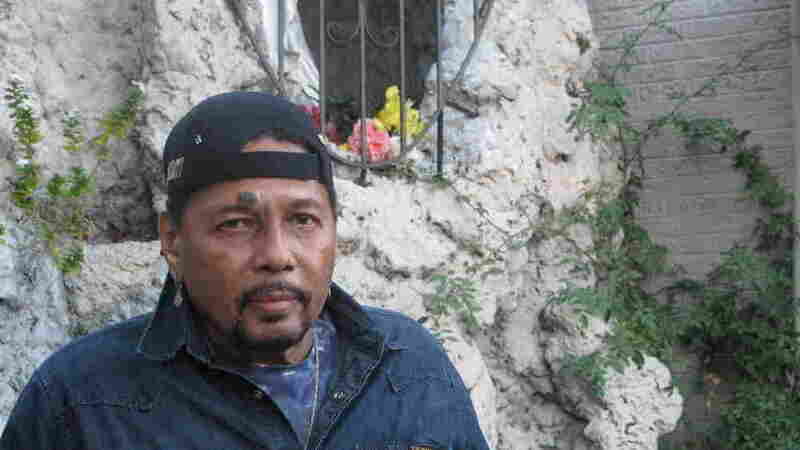 Aaron Neville is an icon in his hometown of New Orleans. With his linebacker shoulders and signature dagger tattoo on his cheek, there's no going incognito in his hotel lobby. 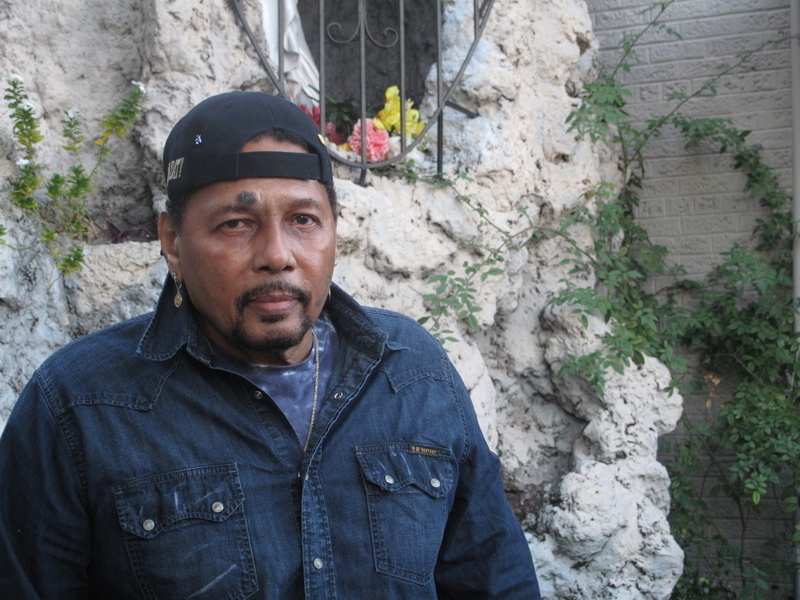 Neville hasn't lived in New Orleans since Hurricane Katrina flooded his home in 2005. Now, he splits his time between New York and Covington, La. But the first track on his new album of gospel favorites, I Know I've Been Changed, conjures images of what his native city has been through. The album is arranged as if you were in a church service. "Stand by Me" is the opening prayer. "I started listening to gospel when I was a little boy and my grandmother used to rock me on her lap," Neville says. "And she listened to Doctor Daddy. He was the disc jockey for the gospel station here in New Orleans. He would be playing stuff by the Blind Boys [of Alabama] and Sister Rosetta Tharpe, and Mahalia [Jackson], and Dixie Hummingbirds and all them guys, you know. So I was initiated into it at an early age." He reminisces as we drive along the bumpy back streets of uptown New Orleans. These are his old stomping grounds, he says. At the house where he grew up, someone has wrapped the door with sparkly green Christmas paper. It's one side of a duplex — two narrow clapboard houses that share a front porch. When he and his brothers were growing up, Neville says, people here had a rhythm to the way they walked that came from the music they listened to. For him, it was doo-wop and locals Louis Armstrong, Fats Domino and Professor Longhair. "My dad and my mom were big Nat King Cole fans, so they had everything he did," Neville says. "And I used to sing my way into the movies singing one of his songs. [They'd] say, 'Hey, little Neville, sing me a song and I'll let you in.' "
He'd get in to see Westerns with Roy Rogers and Gene Autry. In fact, there's even a bit of country twang underlying the gospel music on the new album. "[I'd] yodel along with them, and I'd come back in the project and I had a mop stick named Kemo Sabe I'd ride for my horse," Neville says. "It was cool. I had the fastest mop stick in the project." Neville turns 70 in January, and has lived the changed life about which he sings. A gold charm of St. Jude — whom he says is the "saint of hopeless cases" — dangles from his left earlobe. It was a gift from his mom when he was struggling with drugs and crime early in his career. Neville made his first record in 1960. "I had just got out of jail, and I wrote that song in jail," Neville says. "It was called 'Every Day': 'Every day along about 1 / I'm dreaming of you and my little son / Every day along about 2 / I'm so lonesome and so blue / Every day about 3 / I'm dreaming that I'll be free." Fifty years later, he is again singing about freedom. "I always feel I'm blessed, you know," Neville says. "I thank God for letting me use his voice. That's how I see it." On the way back to the hotel, we stop at the St. Jude Shrine at Our Lady of Guadalupe church in New Orleans. This, Neville says, is his place of solace. "I feel like a little kid," Neville says. "And I just feel safe." The St. Jude Shrine at Our Lady of Guadalupe church in New Orleans is a place of solace for Neville. He's needed the haven. His wife of 48 years, Joel, died after a long battle with cancer four years ago. And Neville says it's still hard to see what Katrina has done to his hometown. "I get sad sometimes," he says. " 'Cause it's been all that time and so much hasn't been done, you know. Passing all those neighborhoods, and still some people coming back, but a lot of places — some of them not never coming back. But one thing about New Orleans, you can't break their spirit." Neville remarried this past November and is touring with his new album. There's always hope, he says, as he looks out at the Christmas lights strung along the wrought-iron balconies of the French Quarter. "Ain't no place like New Orleans," Neville says. "It's one of kind."